That's really neat! 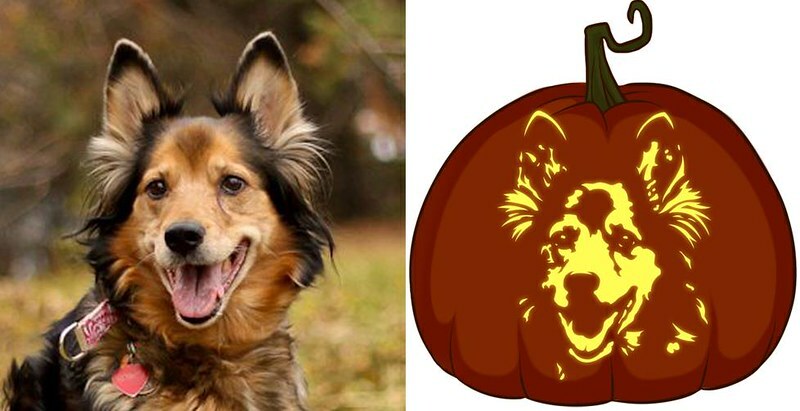 My mom says you must make one of Dance since we couldn't find a nice Toller pumpkin pattern anywhere last year. So, I will be sending you an e-mail shortly! OMG OMG OMG I love it!!! Edit: Zach says "how would it look for an all 1-color dog?" Finn looks awesome since he has so much detail on his face, but would my poor little mono-colored Lucy be possible? I have to play some tricks with one colour dogs, especially black dogs. If you can get me a HIGH-contrast sunny-day kind of photo (the type of photo black dog owners usually abhor), it would be ideal! I'll be doing Dance's tonight or tomorrow, and even though she's red, she's be a good example of a mono-coloured dog. Oh, that's brilliant! I love them! I made a Dance! Thanks again Toller_08! She was my first mostly-solid dog, and was challenging in a few aspects, but between us we figured out how best to capture her. Wow, that is so cool! I may have to do this, let you know in about a week or so. No worries! I'm excited to get some more to do now that Halloween is getting closer. I wanna see more pumpkins!! Allie! Is it too late to get one of these? We're carving pumpkins this weekend.